During the next few weeks, I will be cooking from and reviewing some of the year's best books for gift-giving. They mostly are personal selections from chefs whose work I know well plus a few I don't know at all. I always am enamored of cookbooks from Phaidon, Artisan, Chronicle and Ten Speed Press, but am impressed this year with the quality and variety of cookbooks published by smaller presses; Monkfish and Interlink among them. In addition to their more obvious purpose, cookbooks are great sources of inspiration and bedtime reading. They are often the gifts we don't give ourselves but, like a good box of chocolates, we're thrilled to be the recipient. Happy Holidays! 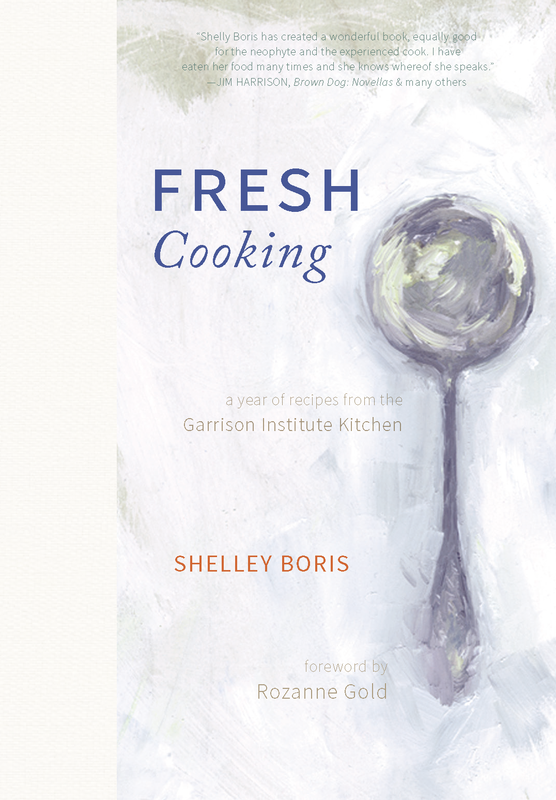 The subtitle of this compelling book - a year of recipes from the Garrison Institute Kitchen -- tells the tale of a talented chef cooking for hundreds of guests in a beautiful monastery on the Hudson. Garrison Institute, created by inspired thinkers, Jonathan and Diana Rose, has served as a beacon for the world's great spiritual and educational leaders, including His Holiness the Dalai Lama who has dined there on several occasions. 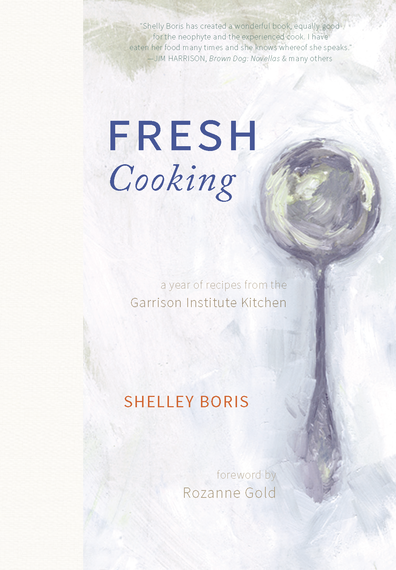 Shelley Boris, the chef at Garrison for more than ten years, has wowed me with her intelligent, countrified sensibility since my first visit a decade ago. There have been many visits since and I was honored when asked to write the foreword to her book. Shelley's compassionate approach to cooking, deeply rooted in the seasons, is always mindful of the communal table - which is literally how one eats in the Institute's massive sun-lit dining room. From her large gracious kitchen, Shelley delights in the daily planning of her menus, each a short story revealing something immediate in nature. January brings her comforting Onion Soup with Sprout Creek Cheese and Sour Rye Toast, baked white beans, and crimson quince blanketed in phyllo. May is more spontaneous and carefree - braised lamb and rhubarb chutney, rice with sorrel, garlic chives and mustard greens, and strawberry shortcakes. The book's recipes range from simple creations - pan-quiche with cauliflower and cheddar, savory chickpea cakes with tahini sauce; winter root vegetable salad with sherry-hazelnut dressing - to dishes that require slow seduction to coalesce their flavors -- Thai-style eggplant curry with coconut milk, lemongrass and shiitakes, and braised spicy lamb with apples. Other standouts are Shelley's breakfast scones - the best I've ever had -- and her dizzying array of addictive vinaigrettes -- carrot-lime, ginger-grapefruit, pear-beet, creamy shallot. Personal and idealistic, she calls her repertoire friendly-to-meat eaters: rich in vegetables, yet not strictly vegetarian. "We flip the typical equation," she purports. "Rather than cutting back on meat, these recipes help you think about where you want to add meat and fish to your diet." Nice. Family-style and deeply practical, she rids her recipes of extra steps and superfluous ingredients in order to focus on the essence of each dish. Working within a limited budget became a driving force of creativity and resulted in recipes that are inexpensive to produce. This is exactly what a home cook desires and why she decided to write the book in the first place. Perhaps it will sit nestled next to like-minded tomes such as the Chez Panisse Menu Cookbook, Perla Meyers' The Seasonal Kitchen, and Moosewood cookbooks - older iconic examples serving as game-changers in the way that people think about, and connect to food and cooking in a larger context - where taste and ethics need not be at odds. 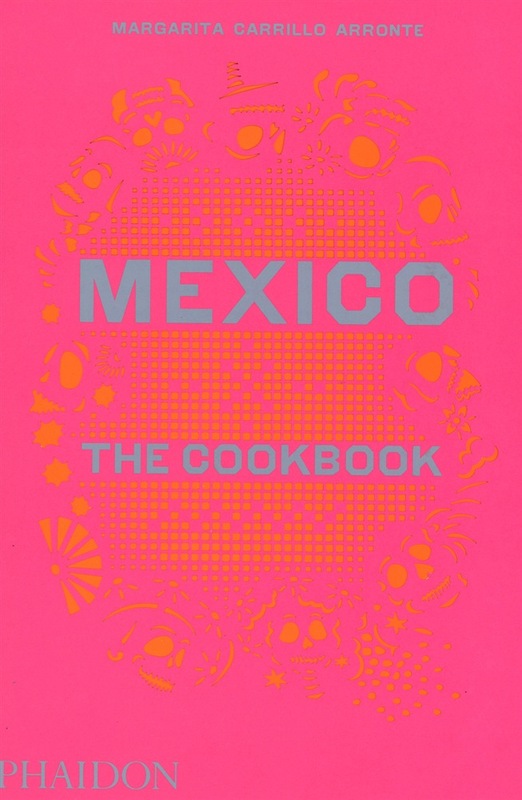 When authors such as Arronte compile cookbooks about a national cuisine as vast as Mexico's, the goal is to produce a well-rounded exploration that evokes and authenticates, the inherent spirit of a nation's cultural foodways. Margarita Carrillo Arronte, Mexico's global ambassador for all things culinary, has certainly accomplished this along with the remarkable design team at Phaidon Press, headquartered in London with offices in New York City. This massive tome, feeling like a work of art or runway fashion statement, is undoubtedly among the most beautiful books this year. Replete with 650 recipes and 200 photos, the book draws inspiration from various sources, some from which have been altered to the author's own taste by adjusting ingredients, measurements or methods. Ms. Arronte wants the dishes of her homeland, and its many regions, to be cooked and experienced by audiences who have not yet plunged into the depths of mole (mole-lay) making - including an intriguing beet mole - to the more familiar tamales, enchiladas, and fresh fish Veracruz-style, to the less familiar rabbit with prunes and chili, ox tongue in pecan sauce, and birria, a fragrant lamb soup from Jalisco. Much admired in Mexico for the last 35 years, Ms. Arronte has owned restaurants and food companies, hosted television food shows, researched and taught all over the world. She is a formally trained teacher, turned chef and activist, involved in the decade-long effort to have traditional Mexican cuisine recognized with a United Nations Educational, Scientific and Cultural Organization (UNESCO) Intangible Cultural Heritage of Humanity designation. Although I wish that head notes were included with each recipe, I understand how daunting a task this would be. The recipes, both classic and traditional, with a swath of contemporary recipes from restaurant chefs, feel mostly accessible - but some ingredients - specific chilies, epazote, avocado leaves -- may be hard to find. This does not diminish the book's pleasures. Part of Ms. Arronte's research is to delve into other references and oral traditions for inspiration and to re-create recipes that are considered seminal in the development of the cuisine. This is the true nature of recipe transmission and the way that dishes evolve and national cuisines are created. There is an extensive bibliography that includes the important work of Mexican culinary guru, Diana Kennedy. It is a great gift to go hand in hand with a cup of Mexican hot chocolate, in bed if not in your kitchen.